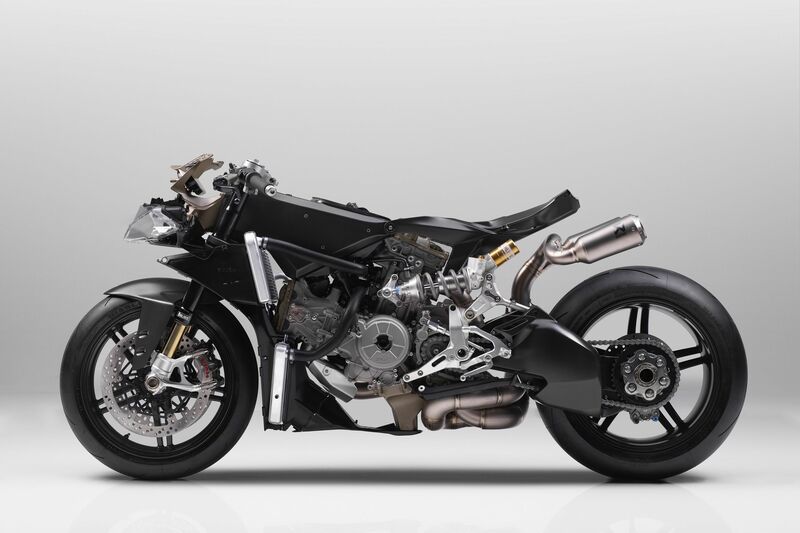 DUCATI has just revealed is latest piece of superbike exotica – the carbon-framed 1299 Superleggera, its ultimate superbike. It’s not just the frame that’s made of carbon-fibre – the 10-spoke Pirelli Diablo Supercorsa SP-shod wheels and single-sided swingarm are too, with those parts being unique to the Superleggera. Curious about weight? Ducati says that dry, it tips the scales at 156kg and has a kerb weight of 167kg. 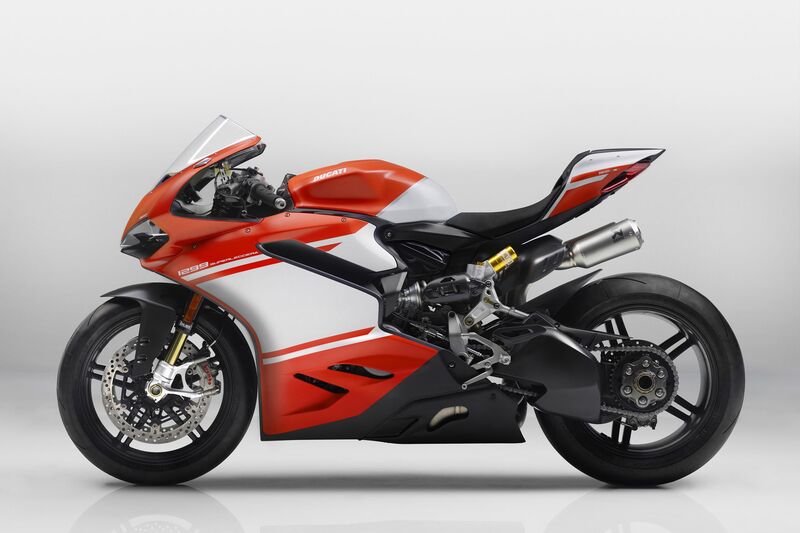 Ducati says that the frame alone is 40% lighter than the 1299’s. 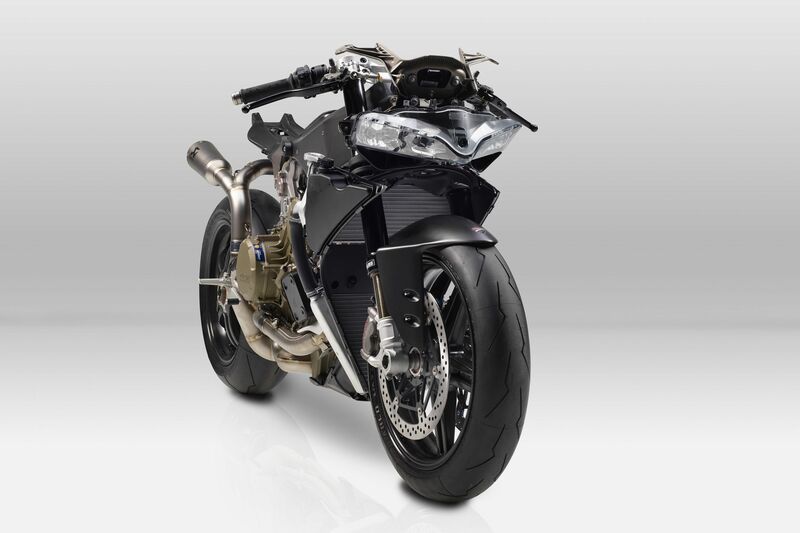 The fairing is also made of carbon-fibre, and behind it sits the most powerful version of the 1,285cc desmodromic L-twin Superquadro engine, which Ducati says makes a monster 215hp at 11,000rpm and 108lb/ft at 9,000rpm. That’s the most powerful twin-cylinder engine Ducati’s ever produced. The engine boasts a load of changes, including lighter two-segment, 116mm diameter pistons, aluminium cylinder liners, a lighter crankshsaft, titanium con rods and a sand-cast crankcase. The top of the engine has also been treated to new camshafts with increased lift and larger titanium intake and exhaust valves that are housed in cylinder heads with specially developed intake and exhaust ducts. The throttle body features new aerodynamic openings, the air filter has a larger surface area and is derived from World Superbikes. Oh, and check out that WSB-spec Akrapovic exhaust too. Tempering all that power is a new six-axis IMU which enables fine operation of the traction control and slide control systems which will allow riders to slide the rear wheel when leant over. The IMU also means this ultimate-spec Ducati has cornering ABS and it retains the engine braking control found on the 959 and 1299 Panigales. The 1299 Superleggera is also the first Ducati to be equipped with launch control – called Ducati Power Launch (DPL). 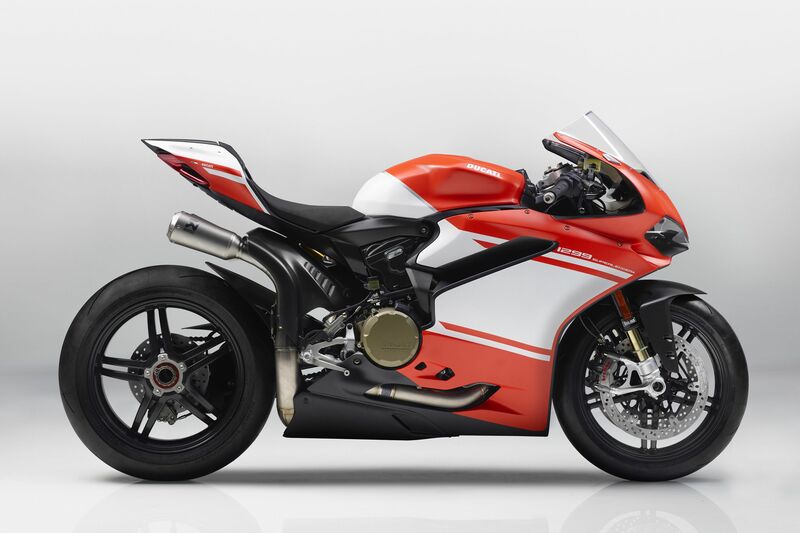 As on the ‘basic’ 1299 S, the Superleggera also has wheelie control, a quickshifter and for clutchless up and down shifts. The bike also comes with a data analyser. Suspension is handled by Sweden finest, with a fully-adjustable Ohlins FL936 forks with billet machined bottoms and TTX36 shock. The brakes are similarly superbike-spec Brembo items – the front of the bike is anchored by a pair of Brembo Evo M50 four-piston monobloc calipers and 330mm semi-floating discs with a Brembo MCS adjustable-ratio master cylinder. At the rear there’s a 245mm disc and two-piston caliper. The 1299 Superleggera also comes supplied with a track kit that adds another 5hp through a titanium Akrapovic exhaust system and also includes a sidestand removal kit, mirror blanking plates, paddock stands and bobbins, a racing screen and licence plate removal plug. Interested in getting your hands on one? Well don't sell that kidney just yet becayse Ducati says they’re already sold out.